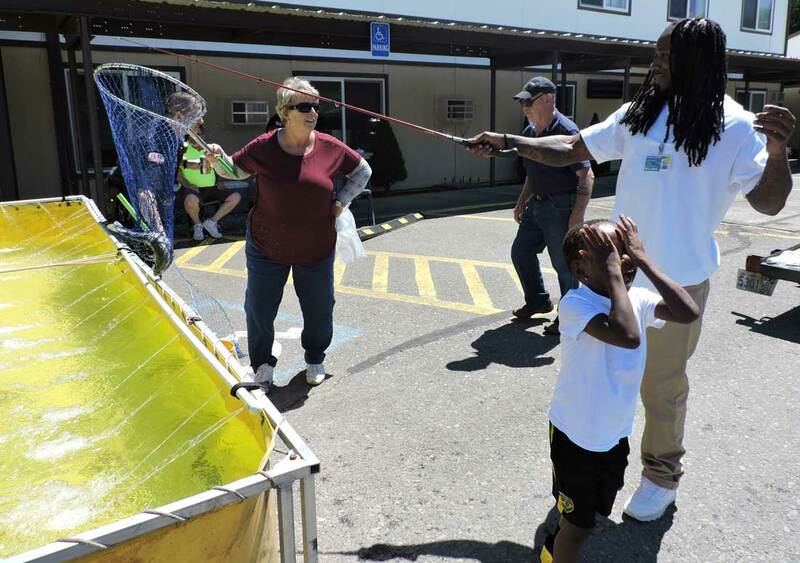 FORKS – For the twelfth year, Puget Sound Anglers-North Olympic Peninsula Chapter has provided a live fishing event for incarcerated fathers and their children on the Saturday of Father’s Day weekend. The event was hosted at Olympic Corrections Center. Puget Sound Anglers, Jack Smith and Sherry Anderson, have worked the event for many years. The Friday before the event a portable pond was put in place. The water is hauled onto the prison grounds from the Sol Duc and Bogachiel Hatcheries. It took the hatchery truck three trips spanning five hours to get all of the river water to the prison. 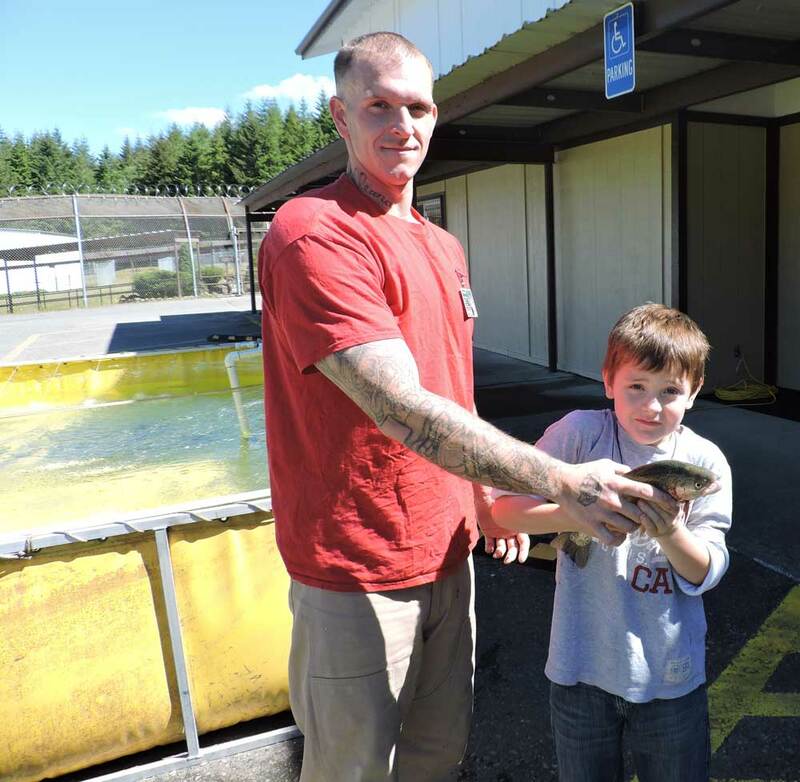 With the pond in place and at the perfect temperature for the fish, over a hundred 1-pound trout were placed into the water. Anderson believes in the positive outcomes the event brings to the prison and families involved. “This is a charitable community event. We have an ongoing relationship with the prison.” Anderson and her team are happy to come out to the facility. The prison and anglers both support each other. 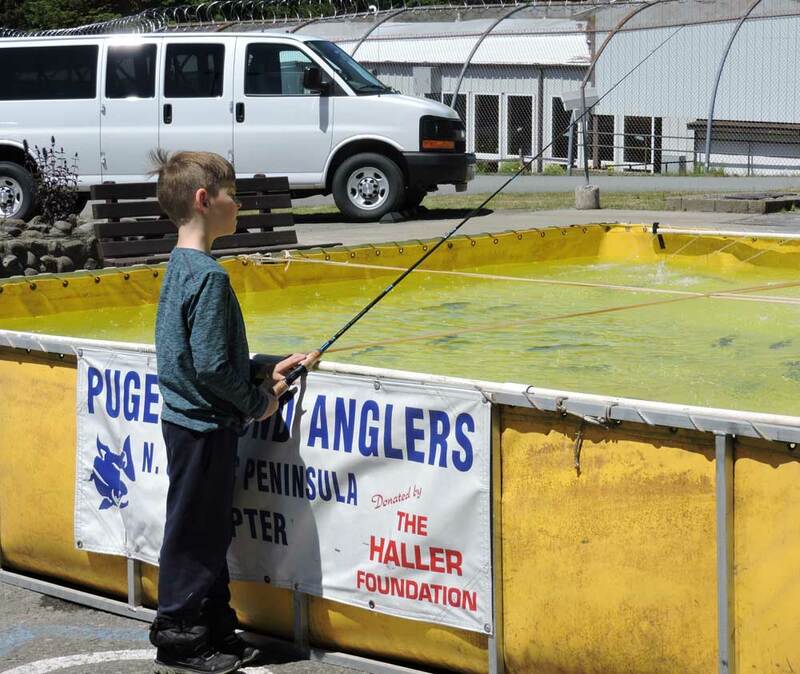 “They hand make items such as a salmon weather vane and wood trucks to be auctioned off at our annual fundraising event.” This fishing experience is able to be funded by the all-volunteer group because of the money raised by the fundraising event. When visiting hours began on the Saturday before Father’s Day, 19 incarcerated dads alongside their 27 children were waiting with anticipation. The children ranged in age from 2-17 years old. Developing and maintaining strong family connections allows for a reduced rate of recidivism and a supported reentry back into their communities upon release. The fathers were very appreciative to have quality time their children. 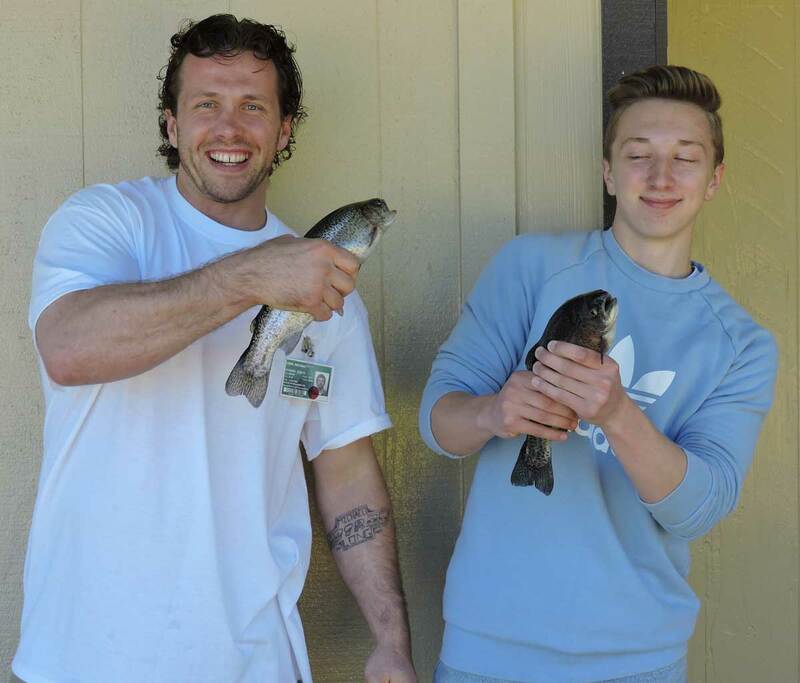 One dad said it was, “nice to share this experience with my son.” Many of the fathers were appreciative of the fact that Olympic Corrections Center and community partners would coordinate such an activity stating it was a “great memory in a difficult time.” It wasn’t just the families that felt valued. 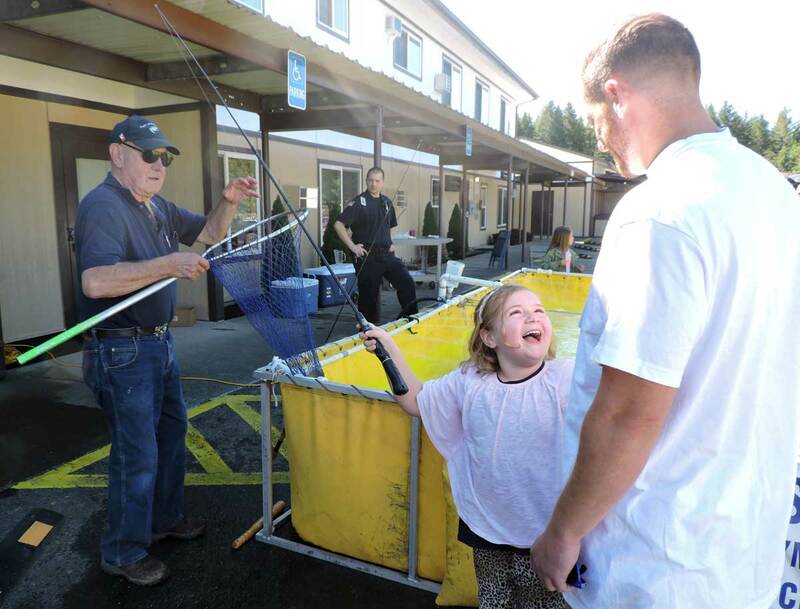 Fishing volunteer Anderson also received praise and even a hug from a 7-year old girl exclaiming how much fun she had! After the children were done with the fishing activities, they were allowed to select a brand new fishing pole to take home and use to practice. Some of the children proclaimed their new found love for the hobby.